Dry January: is it worth the hype? 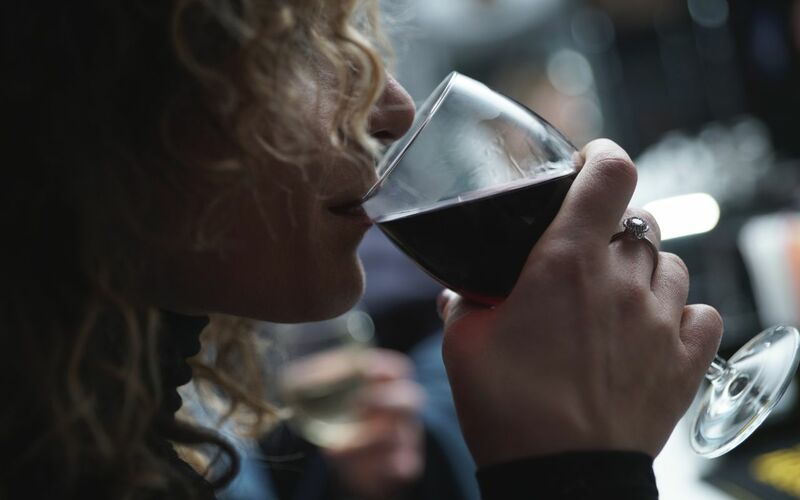 “This year, for the first year ever, I decided to do Dry January.” Carrie of Carrie Small Plate discusses her experience going booze-free last month. Well, everywhere I looked I was being promised that 30 days off booze would elicit amazing feelings of inner calm and control, zen-like morning rituals, a fantastic home & work life, flawless & immaculate skin, thick, shiny hair and so on… And do you know what? I achieved NONE of these. A few weeks into February now and I pretty much look the same. I still have a fuse the length of a fingernail when it comes to things my daughter does that annoy me (and to which I respond agitatedly). The other day, I snapped at her because she didn’t preempt that I wanted her to brush her teeth; “Goddam it Easkey – you’re almost an adult now – you’re SEVEN!”. I don’t really FEEL that much different either. I still get tired, I still get cranky… I still want to nap about 20 minutes after getting up on a Sunday. None of these major life-altering changes that I expected occurred. HOWEVER!!! I am noticing some small, positive changes that have made me decide to do something that I had never considered before. Now before I go any further, I want to outline a few things about my “drinking habits”. I am a low-to-moderate drinker, often having a few glasses of wine at home at the weekends. I also enjoy a glass or two on a Sunday evening with friends, which has been a ritual for a long time. It is a lovely way to catch up with friends without going out for a big night. I had noticed in the last year or so that I was feeling the effects of these ‘few drinks a week’ more than ever. I also drank more than usual this December, and had gotten into the habit of having drinks at home on my own during the week. Which I found is never a good idea. 1. You’ll save a few bob. Speaking of taxis, the joy of having your own car to hop into at the end of the night (or at whatever stage you want to call it a night) can’t be underestimated. It is so good in fact, that you will be smugly offering lifts home to your friends – “Oh you’re going home to Kiltimagh… no bother, I’ll drop you on the way”. 3. You will sleep like a baby! Without going into the science of it, our sleep is not normally quality sleep after a few drinks. I’m sure you’ve noticed this yourself, that even if you lie in you don’t feel rested after a night out (or a night in of Netflix and Swill). You will often wake during the night as your blood sugars drop or you need to pee, and it can take a while to get back to a deep sleep. But once you hit the hay sober, your sleep will be of much better quality and you will feel much more rested in the morning. So this can be good, but can also be a bit of a reality check. In the past, if I was snappy with my daughter and feeling a bit lazy on a Sunday morning, I could blame it on the tipples from the night before. However, I now realise that I am just snappy and lazy on a Sunday morning for other reasons. It is often due to the conflicting feelings of wanting to do something with the family as it’s the last day of the weekend, and also wanting to be a lazy so-and-so because tomorrow is Monday. So that’s lesson learned, and something I can work on. This is one challenge that you are doing for yourself, and for yourself only. There is no first, second or third place. No-one else (hopefully!) is pushing you to do this challenge. It is up to you when to decide you’re having your last drink, and for how long. Hopefully (like me) you will have the full support of your family & friends. 7. If you do nothing else for the 30 days, you can bask in your sober success. Ok, so you didn’t do 10,000 steps per day for the month as you had planned. Or you didn’t Marie-Kondo the bejaysus out of your house like you thought you would. And you weren’t as productive in that work project that you’d hoped to be. HOWEVER, if nothing else, you stayed on the dry for a whole 30 DAYS and that achievement in and of itself is to be celebrated! 8. You get to be the person who says “Oh remember last night when you…. ?”, and who doesn’t love that person, right? Gone are the fuzzy ends to an evening (either out or at home). No more wondering if you shared that secret that you really – really- shouldn’t have with the gobbiest of your friends. You will have been promoted from sharer to sharee… Gone is the dread of checking your texts/WhatsApp messages/Snapchat stories/Facebook messenger after a night on the sauce. You remember everything from the night before… EVERYTHING!! So be sure to wield that power carefully. • L-glutamin – the primary reason that this can be used to stop alcohol cravings is that it can be converted into glucose for the brain without raising insulin levels. So go forth and be sober, it is worth it for the mini-wins!! For more from Carrie, head to carriesmallplate.com or follow her on social media.